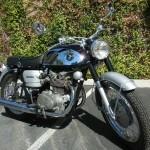 Restored 1966 Honda CB450 Black Bomber Motorcycle. This Bike was restored by its owner. The frame was thoroughly cleaned and painted. 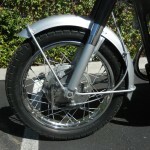 The fenders and side covers were painted to match Honda’s original Silver Cloud colour. 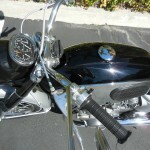 The original gas tank was in good condition but it was cleaned and epoxy coated inside. The outside of the tank was painted to match the original. The original tank panels were chromed. The tank badges were replaced with quality reproductions. A new petcock and fuel lines were used to ensure reliable performance. The front end was completely overhauled with new paint and original chrome. The cables, mirrors and grips were replaced. The carburettors were cleaned and adjusted properly with new seals, needles, seats and jets. 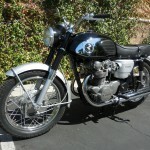 A very nice restored Honda CB450 Black Bomber Motorcycle. 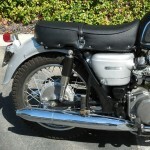 Honda CB450 Black Bomber – 1966 For Sale or Wanted? 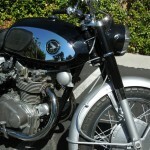 If you're looking for the perfect Honda CB450 Black Bomber – 1966 for sale then take a look at the hundreds of restored classic motorcycles listed on our extensive Motorcycles For Sale pages. 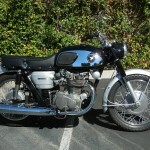 We regularly feature very nice restored Honda CB450 Black Bomber – 1966 bikes for sale. 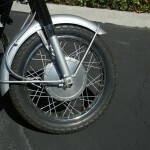 Spares and Parts for your Honda CB450 Black Bomber – 1966? 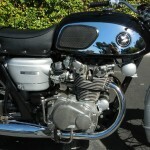 Workshop Manual for your Honda CB450 Black Bomber – 1966?